The sauce is extremely versatile. You can view it as soy sauce alternative, only more flavorful. 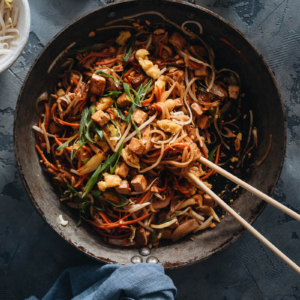 The sauce is healthier than many other Chinese sauces because it contains less sugar. 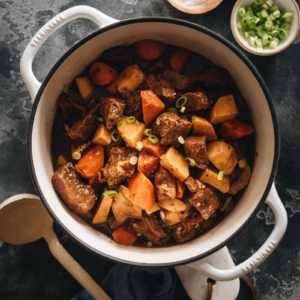 The sauce has a bit of thickening powder by itself, so you don’t always need to use extra cornstarch to thicken the sauce. One more prep step eliminated! 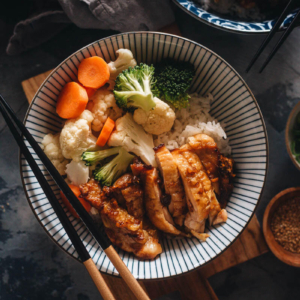 Not only can you make stir-fried dishes with it, you can also use it to bake or steam food, marinate meat, or serve it as dipping sauce or noodle salad dressing. 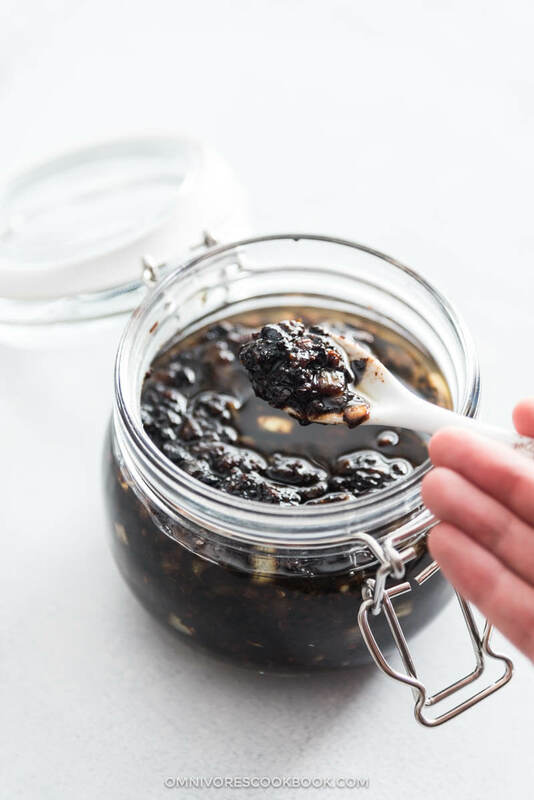 Yes, you can buy bottled black bean sauce from the grocery store, but the homemade version contains more fresh aromatics, does not use additional starch to thicken the sauce, and contains no additives. I always suggest that you make your own for a more delicious and healthier option. The most important ingredient is fermented black bean. 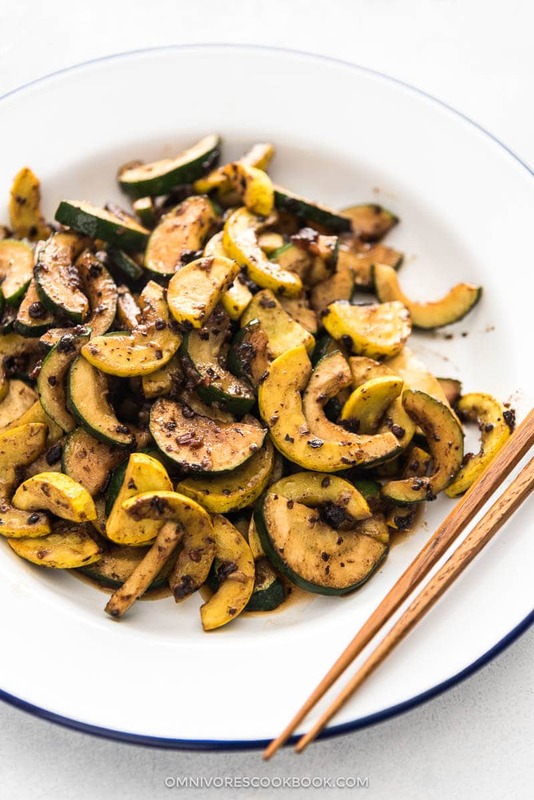 It has a deep umami flavor that is similar to soy sauce, but different in flavor and even richer. This is the base of the sauce. Thanks to almighty Amazon, you can even purchase the fermented black beans online without a trip to grocery store. However, if there is an Asian market nearby, I highly recommend you to get your ingredients there because it will be way cheaper. 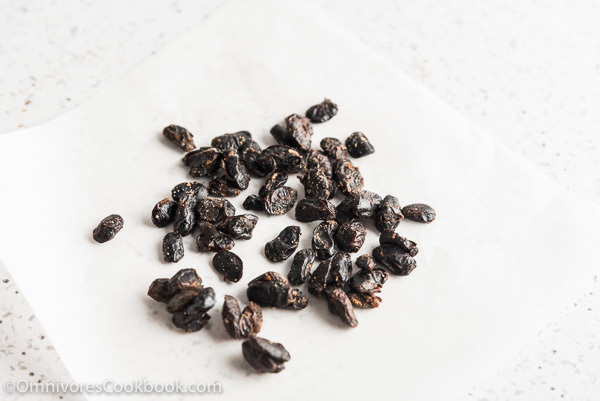 These black beans can stay in your fridge forever, so you can store them if you don’t have time to use them immediately. 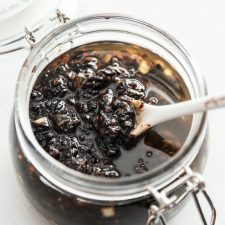 Once you get the fermented black beans, the rest of the ingredients are quite easy to find and it’s more likely that you will already have them at home. 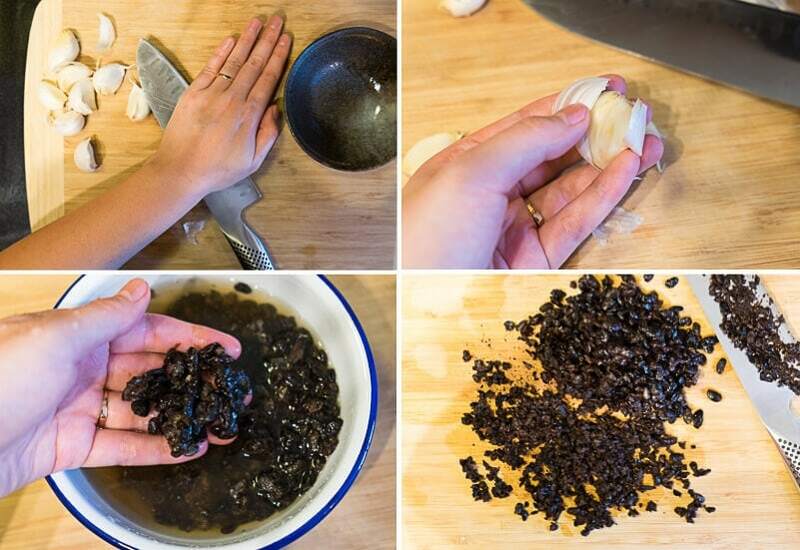 To use the fermented black beans, always rinse them with water and drain before using, so they won’t be too salty. Plus, the water will soften them to make the chopping. I always chop the beans on a cutting board so I can control the texture. 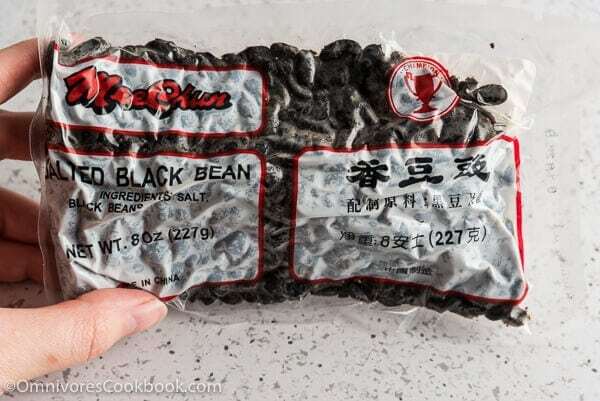 I like my bean paste a bit coarse, with bits of black bean chunks to add texture. You can do this step in a food processor as well. *Tip on peeling garlic faster: Lightly crush it with your chef’s knife by holding it with one hand, and press the flat side with the palm of your other hand. After this simple procedure, you only need 2 seconds to peel a clove. Once you get all the ingredients ready, slowly roast them in a skillet. It will take 20 to 30 minutes. Please be patient and use low heat, so you won’t burn anything. The sauce will be ready to use once it’s cooked, but it gets better after storing it for a few days. Broccoli (fresh) – Divide to small florets; steam or blanch. (See this post to learn how to blanch the broccoli quickly in the same stir fry pan). Brussels sprouts – Halved and roasted (See this post for how to roast Brussels sprouts). Cauliflower (frozen) – Microwave for 2 to 4 minutes (for stir fry), or roast (see this post to learn how to crisp up frozen cauliflowers in the oven). 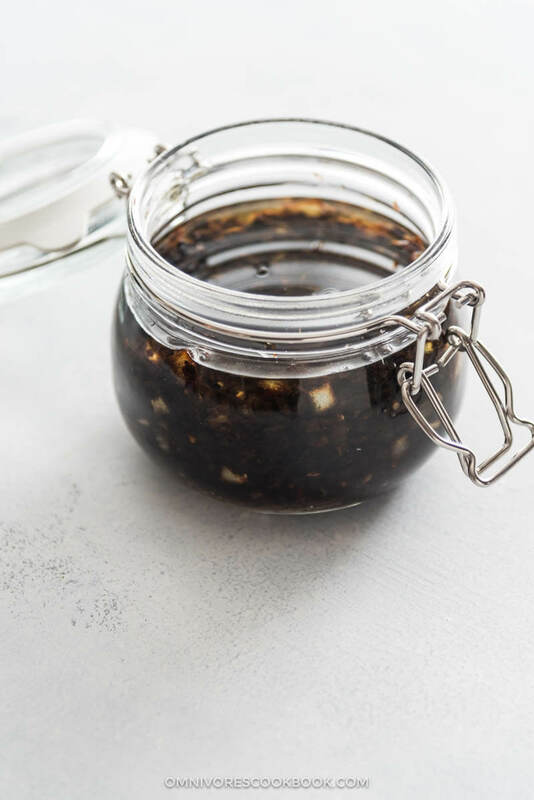 This is one of the most versatile Chinese sauces that go well with almost any ingredients, and is also suitable for stir frying, baking, grilling, and steaming. Add garlic and ginger (if you’re using these ingredients). Continue to cook and stir the sauce until the onion turns very tender. You should see oil floating on top of the sauce. 1. Unless you use very powerful chili peppers (such as Thai chili peppers), the sauce won’t become spicy. I only use this step to infuse more aroma to the sauce. 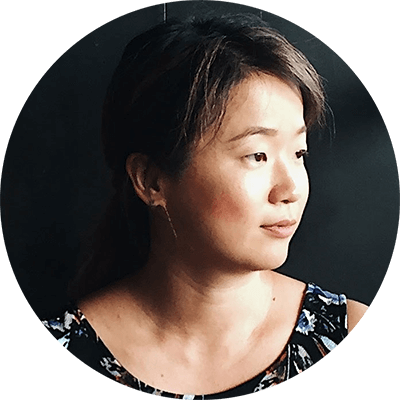 I used Chinese dried chili peppers in this recipe, but Korean and Mexican dried chili peppers work too. If you do want a spicy sauce, consider blending in homemade chili oil to the cooked sauce, or add cayenne powder during cooking. 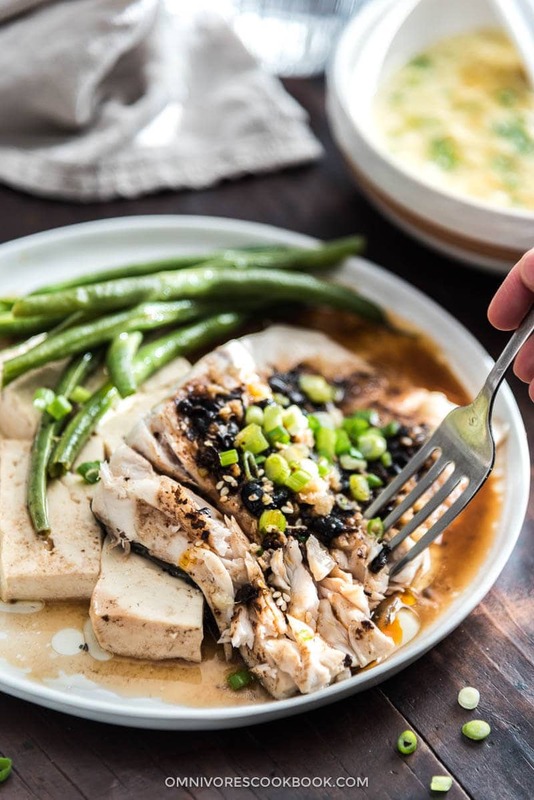 How long will the black bean sauce last in the refrigerator? 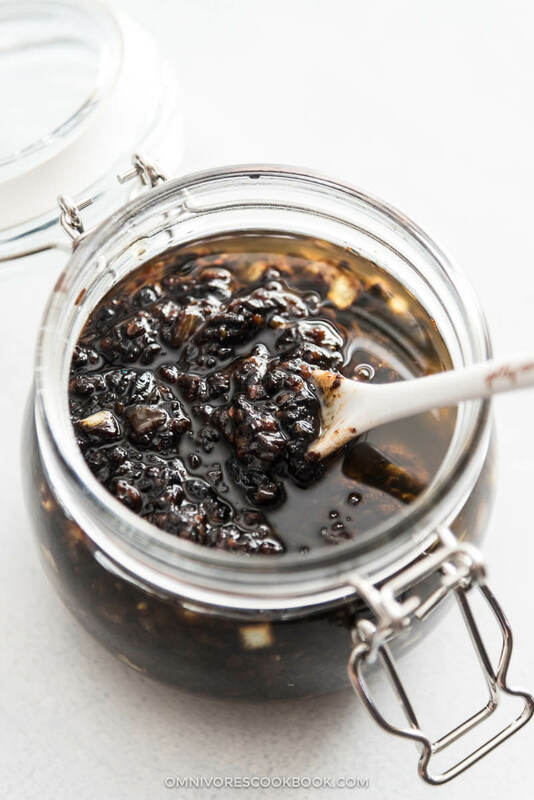 Another fascinating sauce recipe… I love using black bean sauce and, of course, had no idea I could make my own..
Just made this and I’m afraid I’ll eat it all with a spoon. Hi Kevin, I’m so glad to hear you like this recipe! It’s one of my favorite Chinese sauces and I always have it in the fridge. Have you tried using it to cook stir fried ground beef and celery? It’s so simple and GOOD! I don’t use cornstarch in this one because the beans thicken the sauce naturally. And no stock, since it shorten shelf life. 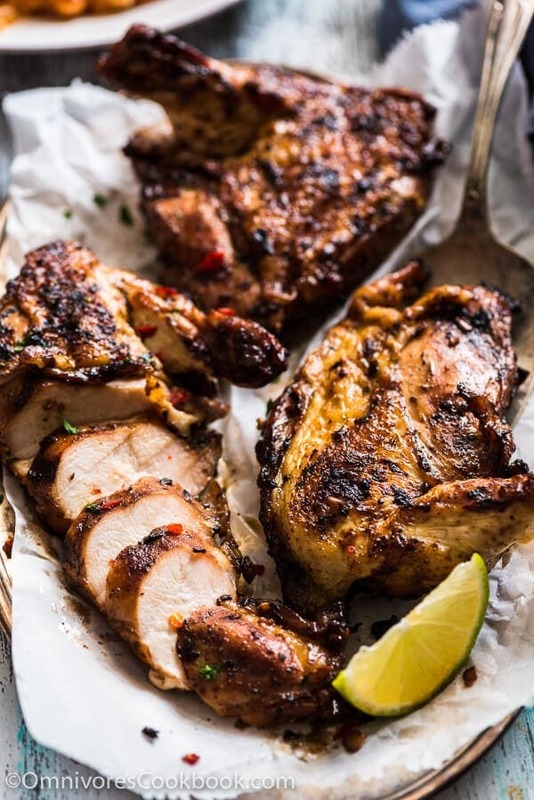 I LOVE the idea of adding extra ginger and infuse the oil with chili pepper’s aroma. I’ll need to try it out soon. 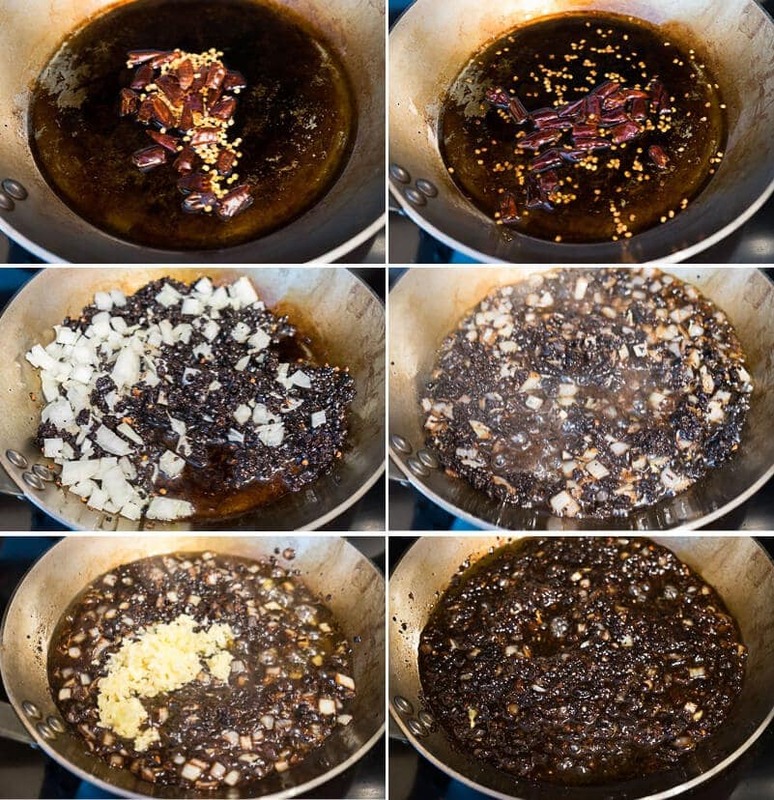 Actually there is another sauce – chili oil black bean sauce. It is a bit spicier than the one you described, but very tasty too! Thanks so much for your kind words! Can’t wait to hear more about what you cook the next 🙂 Have a great week ahead! This recipe is easy and I prefer this homemade recipe than the ones sold in the market. I almost ate the sauce with rice too. It’s just that delicious.. Thank you very much for sharing this wonderful recipe. I had a need to ‘chef it’ this afternoon. My father in law is a big fan of steak black bean sauce so I gave it a crack. As well as the chilli oil I also added additional chilli (finely chopped) When the sauce thickened more dry sherry was added. I feel accomplished – the family gave it two thumbs up. Thank you for publishing this delicious recipe. Wow Maggie! I was just in the supermarket and holding on to a bottle of garlic bean sauce and I thought how expensive! So I grabbed instead a can of salted black beans in can which was about maybe 4 times cheaper! And wow! Then. Came across your recipe!!! Viola! So good! Oh you are my favorite! Thanks! I am fortunate enough to travel to China often and I love the local food and street foods. I have a traditional Chinese cook (in Beijing) who gives me lessons and your food is exactly like hers. We haven’t done the black bean sauce but I made it this morning from your recipe and it is AMAZING! I can’t wait to make a dish tonight. Thank you so much for your blog and recipes! For a girl in New Mexico, my house always smells more like a Chinese kitchen than anything else! =0} Love your recipes. I am blessed! My instructor lives in a traditional hutong and it’s so wonderful to cook with her! I learned after an 8 hr intensive hand pulled noodle day that I am not nearly as talented as I thought! ?I made the black bean chicken, it was wonderful. Thanks so much for sharing as you do! Thanks for taking the time to report back and I’m glad to hear the black bean chicken turned out well! Hope you have an amazing week ahead Robin! Hi Zoe, this sauce is freezable. You can also store it in the fridge for a relatively long time. I’ve stored mine for about a month without any problem. Hi Debra, I think store bought black bean sauce does not use enough aromatics, so it’s not as fragrant as the ones from the restaurant dish. I used tons of goodies in this one and hopefully it lives up to your daughter’s standard 🙂 Happy cooking and let me know how the dish turns out! I was hoping to learn how to make my own fermented black beans. In your article you state that home made is better but don’t explain how it’s done, so I assume you can’t tell us. Delicious! I have a question , though. The recipe says that you can use a food processor if you wish, and says to put the black beans, garlic, and onion in the processor (together, presumably.) But later, the recipe says to add the garlic and ginger (if using ginger). So this suggests that the garlic is added later rather than earlier to cook with the black beans. I am confused about this. For now, I’ve separated the garlic from the black beans and will add it later, but I’m not sure if this is right. I am making 2nd batch now, and thank you for this recipe. I am not that familiar with Chinese cooking and to be honest, I am not that mad on take away Chinese. I find it all sort of tastes the same (I live in Australia). But I do a lot of stir frying (Thai orientateted). And I like to try out new things. I always used the bought sauces, but for a long time it has been in my head to make my own black bean sauce. Found your recipe and made it yesterday. And wow, did it taste good! What a world of difference with store bought ones. Used it last night for dinner. 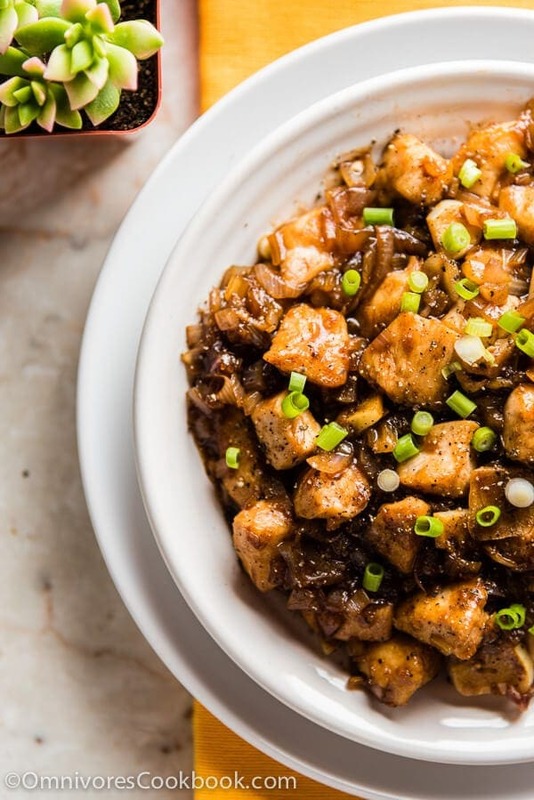 Made your chicken stir fry in black bean sauce. I added some snow peas and broccolini from my veggie patch. And again: Wow! I enjoy the way you write and talk about it all. Thank you. Hi I have made the sauce but it has become bit bitter. What is the reason for that. Hi Varsa, if the sauce turns bitter, you might have overcooked the fermented beans. Hi Maggie, I look forward to making the Black Bean sauce. but didn’t see how much chili is used in the recipe. I see it in the photo only. “Heat oil and dried chili peppers in a saucepan over medium heat until warm.” Is that about a 1/2 cup? The chillis weren’t listed in the Ingredients list. Hi Karen, so sorry about this! I just added the information to the recipe. It’s only 5 to 6 peppers, torn apart. This looks wonderful! I see the recipe calls for heating chile peppers in oil, and in the Note you refer to Thai chiles, but how many? And are there alternatives? My grocer has lots of Mexican peppers — would Japones work? Hi Brent, you can totally use dried Mexican peppers (5 to 6). Sorry if the recipe wording is confusing. I actually called mild dried chili peppers (not Thai chili). I just slightly edited the recipes. Can we use this in jajangmeon?